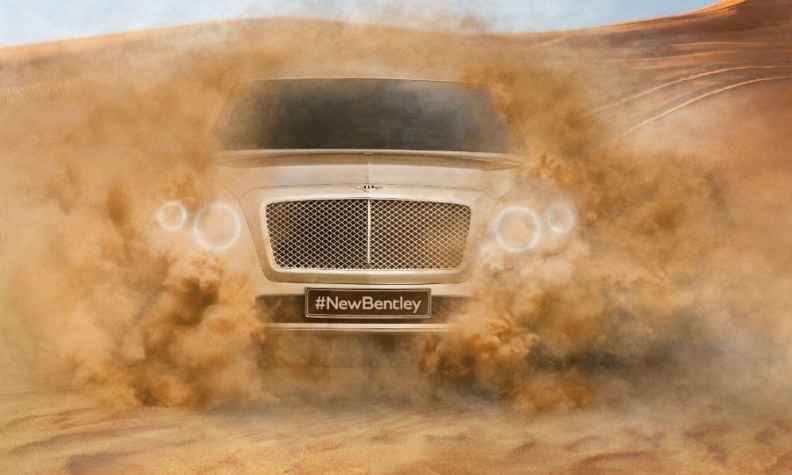 Bentley SUV teaser image shows a revised front end compared with the EXP F concept. LONDON -- Bentley today released a teaser picture of its upcoming SUV, saying the vehicle's design has been revised from the EXP 9 F concept it unveiled at the 2012 Geneva auto show. "The design has changed from the side, rear and roof. It's completely changed," Bentley CEO Wolfgang Schreiber told journalists at an event in London. Critics said the EXP 9 F's large grille and air intakes were ugly and unsuited to an elegant British luxury brand. "Many customers and also media said an SUV was a good idea, but not everybody was happy with the design of that time," Schreiber said today. "This car will meet the expectations of our customers much better than two years ago." The new model, which has at least 2,000 advance orders, is part of an 800 million-pound ($1.33 billion) investment in new vehicles and facilities over the next three years, Bentley said. "It will create a completely new segment in the SUV market," Schreiber said. "It will be the most luxurious and powerful SUV." The vehicle may encounter competition from BMW's Rolls-Royce unit. Rolls-Royce CEO Torsten Mueller-Oetvoes said in a Jan. 9 interview that the brand is considering whether an SUV would fit into its line-up. 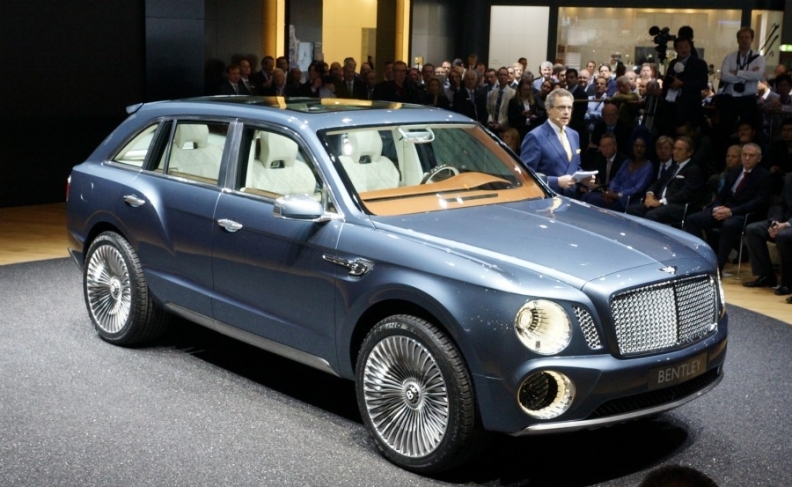 The Bentley SUV is due to be launched in 2016. It is key to the brand’s goal to increase annual global sales to 15,000 vehicles by 2018 from a record 10,120 last year. The Bentley EXP 9 F's large round headlights and air intakes attracted criticism. Bentley sales head Kevin Rose said the brand targets annual sales of 3,500 for the SUV, a similar sales volume to the Flying Spur sedan and Continental GT coupe. The SUV is likely to debut at the Frankfurt auto show next year, Rose said. Engines will include the 12-cylinder unit currently used in the Flying Spur and Continental range, with a plug-in hybrid version due in 2017, the company said. No decision has been made on the engine that will be mated to the battery pack. The SUV will be based on the VW’s modular large SUV platform. Codenamed PL37, this will also underpin the next Audi Q7. Rose said the vehicle will be priced above luxury SUVs such as the Range Rover, which costs 140,000 pounds (160,000 euros) for the most expensive model. "The start point will sit above Range Rover," Rose said. “We would like to solve the problem of buyers who would like to spend more on an SUV, but currently cannot,”he said. The SUV's biggest market will be the United States, followed by China and the UK.